8 p.m. Tuesday, December 4. Roberts Orpheum Theater, 416 North Ninth Street. In the 30 years since Jerry Only joined the Misfits, he’s become a particular favorite of the band’s fans — even if saying Only is your favorite Misfit is akin to saying Ringo Starr is your favorite Beatle. Each musician’s contribution to his respective band is underrated and both have their own strange qualities that attract audiences (Ringo’s playful sideburns, Jerry’s muscular authority). 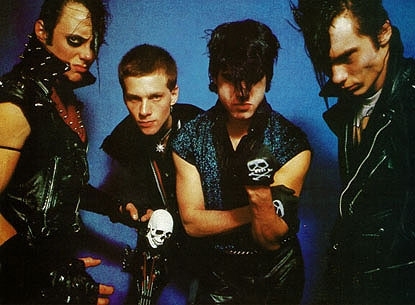 After the departure of bloated former lead dude Glenn Danzig, Only continues to bring the Misfits’ classic punk/horror-style music to the masses. With backing from original Misfits drummer Robo and former Black Flag guitarist Dez Cadena, the band soldiers on, still ready to induce furious fist-pumping at every stop along its tour. The St. Louis stop finds them in good company, with local punk gods the Humanoids and sludge-rockers Holy Python taking the opening slots.